Thank you! You have been entered into GotFlax Give-Away at the MN State Fair! 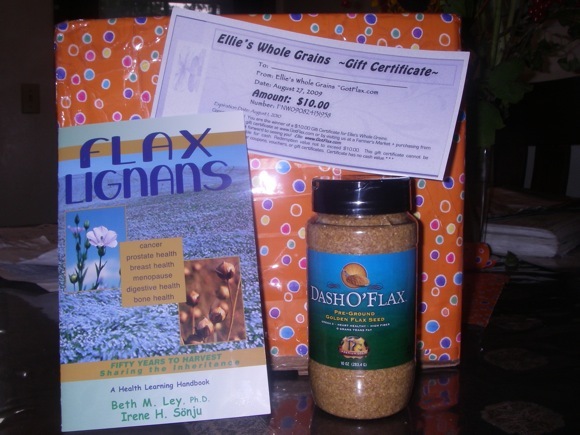 You have been signed up to win a FREE Dash of Flax, a Flax Lignans Book, and a $10 certificate... a $30 Value... FREE! Every day we will randomly select the daily winner. At the end of the MN State Fair, we’ll notify everyone who the winners are with a blog post here and we'll contact each person directly to send out all the prizes to the LUCKY winners! You are entered to win the giveaway and everyone will receive our FREE newsletter full of valuable information with delicious flax recipes, great health info, and great deals! I believe that it is important to know where our food comes from and support local farmers. Get back to the farm and stay out of the pharmacy! You can eat and live healthier! Start today by adding flax to your diet! Want to learn more about Flax seed Benefits for you? Read through back issues of The Grain eNews or read through other pages on this site. Honestly, we are just too busy providing beneficial info to our wonderful and happy readers!